Are you longing for nature and tired of keeping up with an intense pace of life? Make a pause for a moment and enjoy spending time in one of the most beautiful places of Lithuania on the coast of Nemunas - Rural tourism homestead ,,Dzūkijos dvaras“. "Manor of Dzukija" offers cozy and comfortable double rooms which at your request may be transformed into a quadruple room. 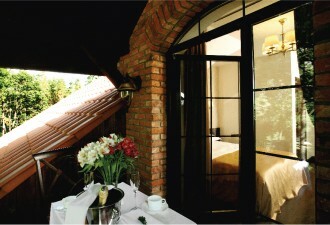 The windows of all rooms face the magnificent view of Dzūkija nature. 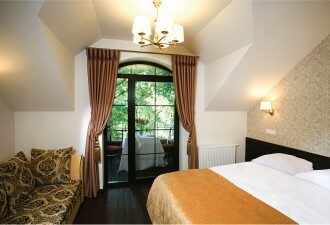 The Manor has 12 rooms available: 9 standard rooms with or without a balcony, 2 miniluxes with a view to the Nemunas and a luxe (deluxe) room. Each room has the feeling of elegance and is equipped in such way that a guest would feel comfortable and would be able to enjoy the beautiful view of the forests and river Nemunas. 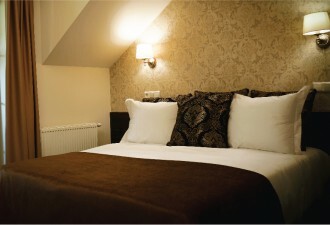 Every room includes a plasma TV, local telephone line. All bathrooms are equipped shower cabins, WC, hair dryers, towel dryers. The Manor can accommodate 48 guests at a time. Please contact the steward of "Manor of Dzūkija" regarding the issue of keeping pets in the premises. +370 647 77506 arba el. paštu info@dzukijosdvaras.lt. Come to play beach volleyball on a sandy park of Dzukija manor!